(0 Customer Reviews) | Write Review 13 issues per year The world’s best-selling classical music magazine.BBC Music Magazine is a must read for anyone with a passion for classical music. Every issue brings the world of classical music to life, from interviews with the greatest artists and features on fascinating subjects, to all the latest news and opinions from around the music world. There are also reviews of over 100 recordings, each one rated by the finest writers in the business. 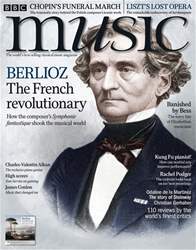 BBC Music Magazine is the ultimate choice for classical music connoisseurs and new enthusiasts alike. Looking for BBC Music Magazine in print? Unfortunately pocketmags.com does not sell print copies of BBC Music Magazine, but all is not lost. Our partner at magazine.co.uk sells print subscriptions at the best prices online. Ahead of the summer festival season, we uncover the secrets to creating a great British festival. 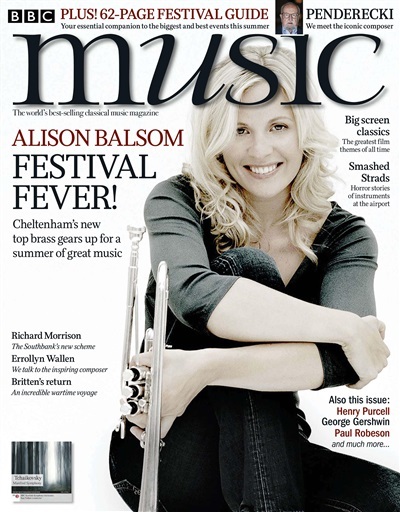 Trumpeter Alison Balsom talks to us about taking the reins at Cheltenham, one of Britain's most renowned festivals. This month's BBC Music Magazine Interview is with Krzysztof Penderecki, Poland's greatest living composer. He sits down with James Naughtie to discuss his legacy as a composer and conductor, the stagnation of new music and the joys of his arboretum, the place in which he feels happiest. The results of our poll with RadioTimes.com to discover the greatest film theme of all time are released in this issue, with Michael Beek uncovering what it is that makes a great movie theme. Also this month, we explore the ongoing issue of instruments being damaged in air travel, and take a look at what the airline industry is doing to avoid this. We also look back on the remarkable American bass-baritone Paul Robeson, for whom music and politics were inseparable in the fight for equality. We name the finest recordings of Gershwin's Piano Concerto and suggest which works to explore next. Plus, the great English Baroque composer Henry Purcell is our Composer of the Month. On your cover CD this month is Tchaikovsky's Manfred Symphony, based on the poem by Lord Byron. 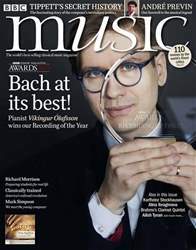 The world’s best-selling classical music magazine.BBC Music Magazine is a must read for anyone with a passion for classical music. You'll receive 13 issues during a 1 year BBC Music Magazine magazine subscription. You'll receive 13 issues during a 1 year BBC Music Magazine magazine print subscription.